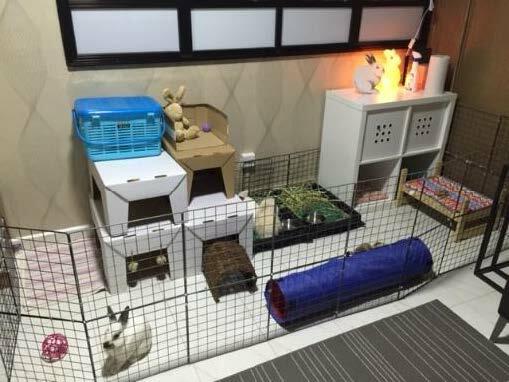 If you have a resident rabbit and is introducing a new rabbit, we recommend that you place them side by side in play-pen setup. As rabbits are prey animals, they do not accept a new mate immediately and requires a ‘bonding period’ which can range from days to months. It is important to give them time to get acquainted. 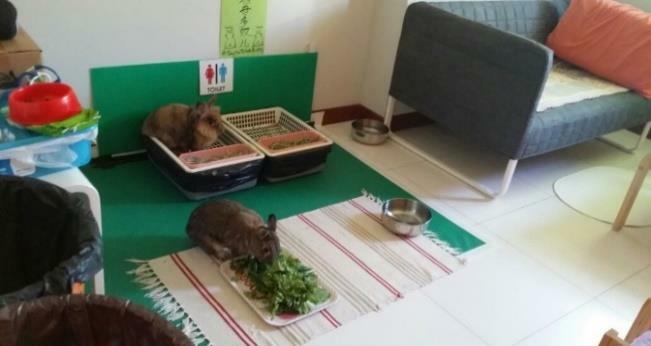 If the rabbit is well litter-trained, you can enclose him in a corner of the house or let him roam the entire house if the space is well bunny-proofed. 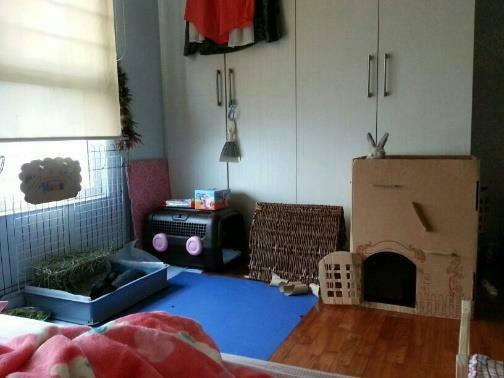 2 rabbits allow to free-roam in bedroom. Baby gate used to confine. 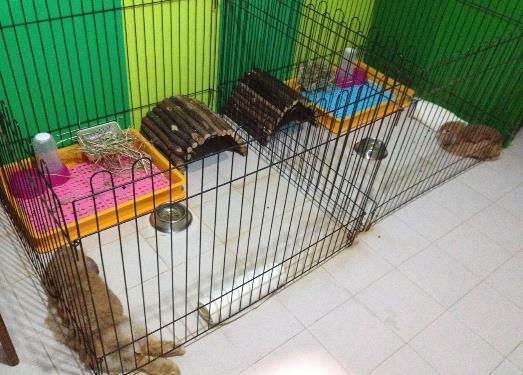 rabbits enclosed in one corner of the living room using metal grids. 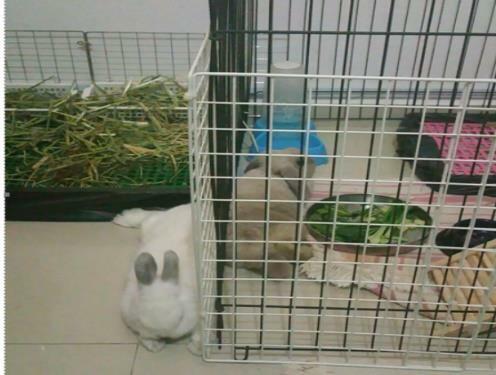 2 rabbits allow to free-roam the entire house if every corner is bunny-proofed and rabbit will not destroy your furniture.